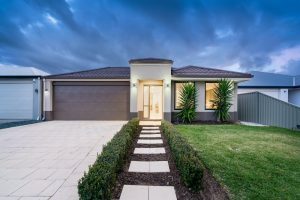 When you’re selling property, one of the first tasks is to contact a lawyer to obtain advice on the terms of a Contract for Sale of Land and have the Contract and Section 32 Vendor’s Statement drafted. At Henry Street Law we have over 25 years experience practising in conveyancing and property law, and can provide the advice you need throughout the sale of your property. The contract will include not only the legal terms and conditions of sale, but will also specify what items are included or excluded from the sale, and any other special requirements you might have, such as a longer or shorter settlement than usual, or perhaps that the contract is conditional upon another contract for you to buy your next property. There are many ways that a contract can be varied, so it’s important to discuss your situation in detail with your lawyer. You also need to know your disclosure responsibilities, as failing to disclose certain things can lead you into difficulty with completing or terminating the contract, depending on the circumstances. Once a purchaser has been found and the contract has been signed by both parties and is legally binding, a deposit is usually paid by the purchaser and is usually held in the trust account of the selling agent. Settlement (the day that the money is exchanged for the property and keys handed over) is scheduled in accordance with the contract, and is usually between 30 and 90 days after signing contracts. During this time, your lawyer will liaise with your bank in relation to releasing any mortgage held on the property. In this time you should arrange disconnection of electricity and other services. Before settlement the purchase price will be adjusted to reflect the council rates, water rates and any owners corporation fees that need to be shared between the parties. There may be other adjustments based on the Contract for Sale. Once settlement takes place, the real estate agent will be authorised to release the deposit to you, less their commission. Contact us on (03) 5181 6363 to discuss the sale of your specific property with an experienced property lawyer at our office in Traralgon, or email us at enquiries@henrystreetlaw.com.au.